Mediterra guests seeking to enjoy the Florida lifestyle found their perfect homes in the gorgeous Catalina luxury estate home with more than 5,000 square feet, the fully-furnished Falerno Florida-style home with 3,257 square feet, and the beautiful Clara model with 3,369 square feet and sparkling lakefront views, but there are still luxury model homes available for anyone else who enjoys the sun on their face, their toes in the sand, and an active and healthy lifestyle. 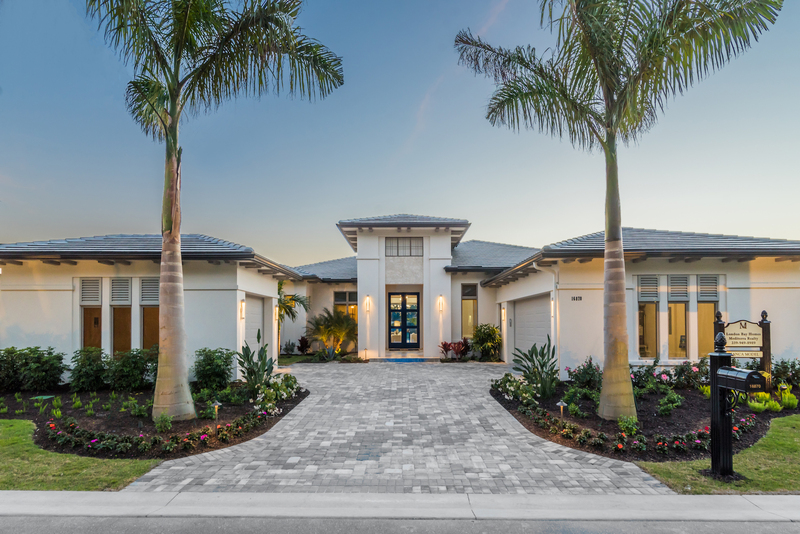 With exquisite architecture and beautiful designs these Mediterra homes complement your luxury lifestyle with a quality that can can only be achieved by America’s Best Builder. London Bay Homes can build your home from any of their fully-customizable floor plans, including the ones of the model homes already sold, but they can also build your custom home with the exact specifications you desire. If you don’t want to wait to experience luxury living at Mediterra, schedule your tour of Move-In-Ready homes available. The Angelica is one of the many villa home plans in London Bay Homes’ luxury maintenance free villa neighborhood of Cabreo. The villa home features 2,800 square feet under air with three bedrooms, plus a den, and three bathrooms. The great room, dining room, and master bedroom open up to the outdoor living area with a pool overlooking a glistening lake. 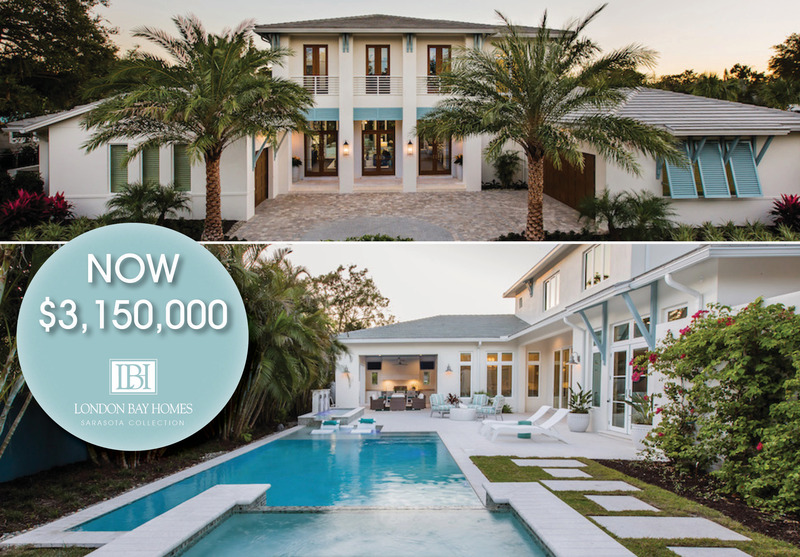 The outdoor living space, covered entry, and two-car garage bring the Angelica model to 4,087 total square feet. Offered as a semi-furnished home, the Angelica features designer finishes throughout with designer furnishings added to the main living areas by Romanza Interior Design. This design was provided to allow the future homeowner to design the more personal living space using their individual style. 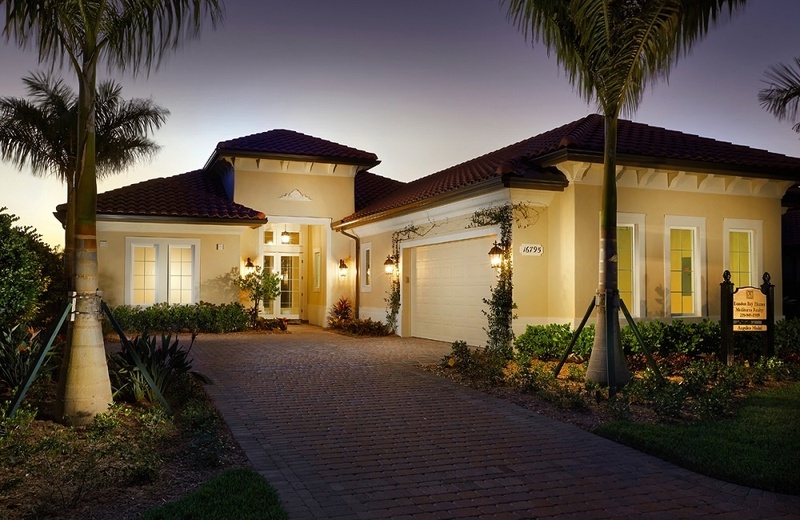 View the Angelica model home. 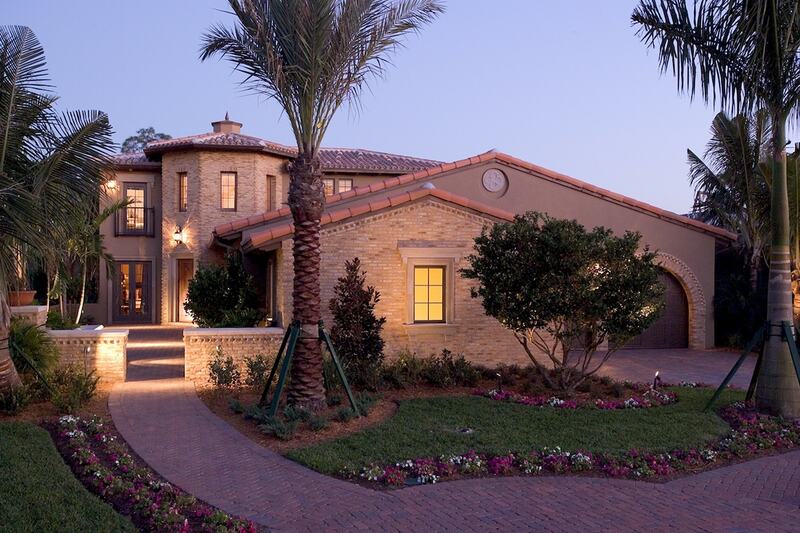 The Cordoba is an Italian-inspired single family home in the Cortile Estates at Mediterra. The exterior of the home features a stone façade reminiscent of the Italian countryside and the floor plan was created to complement that design. The three bedroom, five bath home features stone walls and wood beams throughout its more than 5,300 A/C square feet and a relaxing courtyard located at the center of the home. Of course, no Italian-influenced home can be complete without a formal dining room with a wine cellar, but the design was advanced further with a second catering kitchen, a private study, and a second-floor game room. Adding to the architectural design is the interior styling of the award-winning Romanza Interior Design. As a secondary outdoor space, the Cordoba features an outdoor living area with a kitchen, sparkling pool and spa, and a pool bath. These exterior design choices combined with the three-car garage bring the Cordoba to a total of 9,516 square feet. View the Cordoba model home. 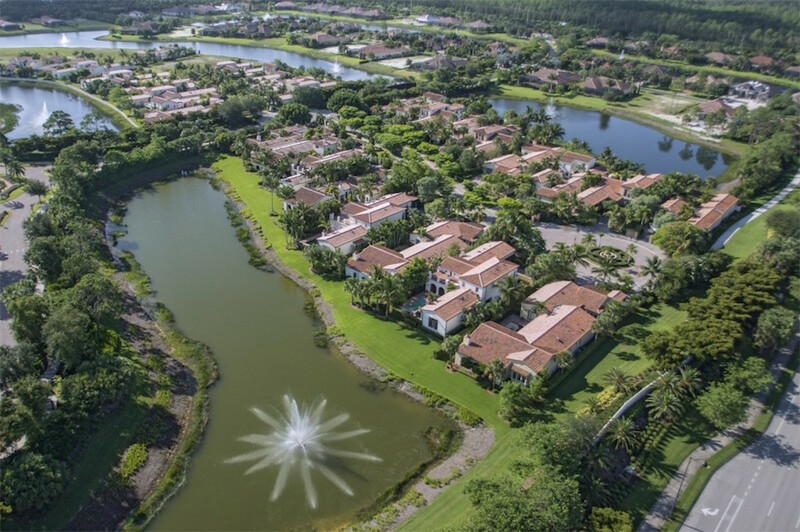 Contact us to schedule your tour of these luxury model homes or to discuss the specifications of your dream home anywhere in Southwest Florida.